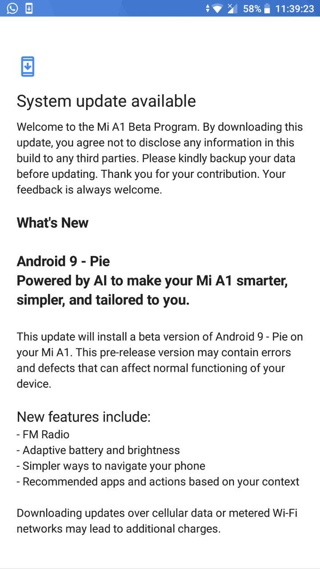 Earlier this month the Xiaomi Mi A2 and A2 Lite received official Android 9 Pie update. Today, the manufacturer has started the Android Pie beta program for Xiaomi’s first generation Android One device called Mi A1. This comes to users enrolled into the beta testing program. If you are already a beta tester, then you will soon be notified of the OTA update by today. So go to the settings > system updates > and check for OTA update notification. You can also try the VPN method to download and capture OTA update zip. The update is currently live in the regions of Asia (particularly India). 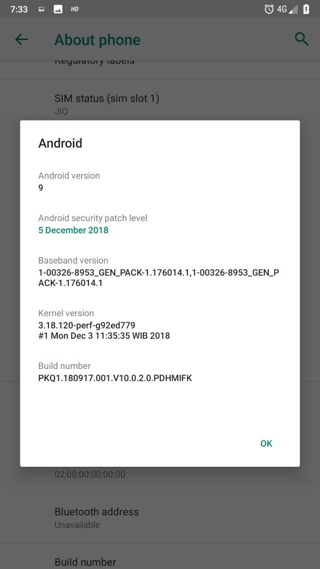 It features all the Android 9 Pie goodies including the the new gesture navigation system from Google, App Actions, Slice, latest December 2018 security patch AOSP, new Accessibility Menu, screenshot shortcut, screen rotation option in navigation bar, dark mode or night theme, text selection in overview mode, advanced notifications, and Digital Wellbeing. We have already captured the OTA update zip for you. But there is no proper installation procedure known just yet, unless you have installed a custom TWRP recovery or willing to clean flash using Fastboot method. We can soon expect the stable Android 9.0 roll out for the Mi A1. The Pie Beta update for Mi A1 comes with firmware build number PKQ1.180917.001.V10.0.2.0.PDHMIFK for the device codenamed tissot_sprout. Here is the OTA download link. If you have a rooted Xiaomi Mi A1 with TWRP recovery, then you can try flashing the above update zip. However, backup before doing so. If you choose the Fastboot flash method, then you will need to unlock the Bootloader.